The National Summer Transportation Institute (NSTI) program is administered through the Federal Highway Administration’s Civil Rights Division with the intent of garnering interest and developing the next generation of transportation professionals. Most states offer a NSTI program, which typically is in the form of either a residential or commuter summer camp targeting either middle or high school students. The NSTI programs offered in most states provide a perfect venue for industry partners to get more directly involved in building the future transportation workforce. 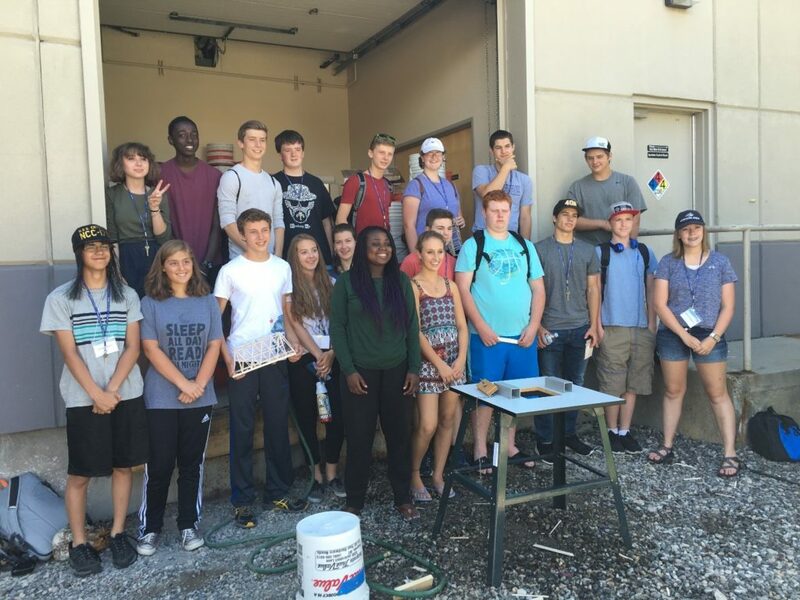 As an example, for many years the Western Transportation Institute at Montana State University, in partnership with the Montana Department of Transportation (MDT), has hosted a residential two-week summer camp for high school students supported by the NSTI program. Fifteen to twenty high school students live on campus at MSU and participate in various activities that are intended to spark interest in transportation careers, build creative problem-solving skills, and improve their career readiness. The MSU Summer Transportation Camp participants are introduced to all modes of transportation through presentations, field trips, and hands-on activities. Camp topics include transportation planning, engineering, infrastructure and roadway design, environmental considerations, advanced technologies, and safety. The MSU program has been continuously working to build industry partnerships to enhance the camp experience. Industry contributions provide participants with real-world career perspective from a practitioner’s point of view. The program benefits from these new collaborations with public and private sector industry representatives who are able to contribute new curriculum modules and guest presentations. Kittelson and Associates, Inc. developed a 4-hour workshop on traffic signalization and timing and a 4-hour hands-on workshop on the public involvement process for transportation projects. KAI sent consultants from its Bend and Boise offices to lead the activities during the camp. Sanderson Stewart offered a presentation on a project to redesign a major corridor adjacent to the university. Participants were able to follow the redesign process from traffic demand projections to public involvement for a road they crossed every day during the camp. Robert Peccia and Associates provided a presentation on the development of Bozeman’s long-term transportation plan. A crash scene investigator from the National Transportation Safety Board (NTSB) developed and conducted a “Crash Scene Investigation, Jr.” module in which students role-played accident victims and investigators at a staged crash scene to determine the cause of the accident and to develop recommendations. The Montana Department of Transportation provided an overview of CAD design work conducted by student interns in the MDT Design Unit on campus, and provided tours of research labs, machine shops, and various departments at MDT headquarters. 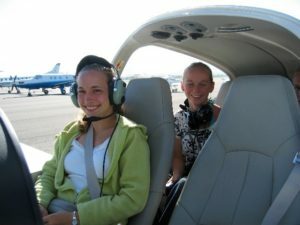 Pilot instructors from Summit Aviation took camp participants for “discovery flights” in small aircraft. As qualified new entrants to transportation careers grow ever more challenging to attract to a growing number of openings, opportunities for industry to directly engage with pre-career youth –to share the experience and enthusiasm of practicing professionals and expose and attract potential new career entrants to the field—will become increasingly important. The NSTI program provides a ready-made avenue for transportation professionals to do just that.